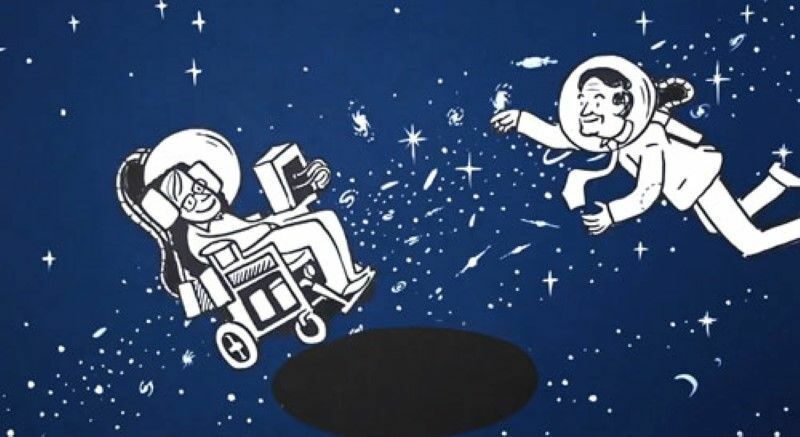 Legendary theoretical physicist and cosmologist Stephen Hawking is among the greatest scientific minds in human history. In this charming animation for The Guardian’s MadeSimple series, UK-based animation studio Scriberia— who also made the wonderful trailer for Oliver Burkeman’s Antidote — condenses Hawking’s expansive, mind-bending theories down to 150 seconds. Reminiscent in spirit of the RSA animations, though much better-executed creatively, the short video is the visual equivalent of the art of the soundbite. Though undeniably delightful, I can’t help but wonder whether such quick visual syntheses of the life’s work of boundless genius might be our era’s version of the aphorisms that Susan Sontag worried commodify wisdom. But let’s go with optimism and hope that, rather than exercises in reductionism, formats like this are, as Neil deGrasse Tyson said of the sound bite, triggers for interest which “set a learning path into motion that becomes self-driven.” In other words, let’s hope this gets more people to read A Brief History of Time, one of these seven timeless reads about time.